Your favorite knight is now on Facebook, Twitter and Instagram! Follow his adventures and appearances, and share your own photos when you meet Sir Victor! Along with cheering for the Knights, Sir Victor likes to make other appearances, including birthday parties, fundraisers and wedding receptions. Bring Sir Victor along for your next event! Click here to request an appearance. Are you a current student? Would you like to tryout for the mascot team? Applications are being accepted year round! Think you have what it takes to be a part of Wartburg’s mascot team? 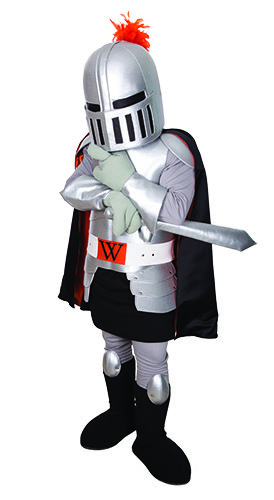 Show your support for Wartburg’s outstanding athletic programs as Sir Victor. Lead our teams to victory with the school spirit and enthusiasm of Sir Victor! If you are interested in becoming a part of the team, please complete the application and bring it to the tryouts. **Shhh… Sir Victor’s identity will remain a secret, please do not tell friends you are auditioning. If you have any further questions please contact Sir Victor. Click here for more information and requirements. 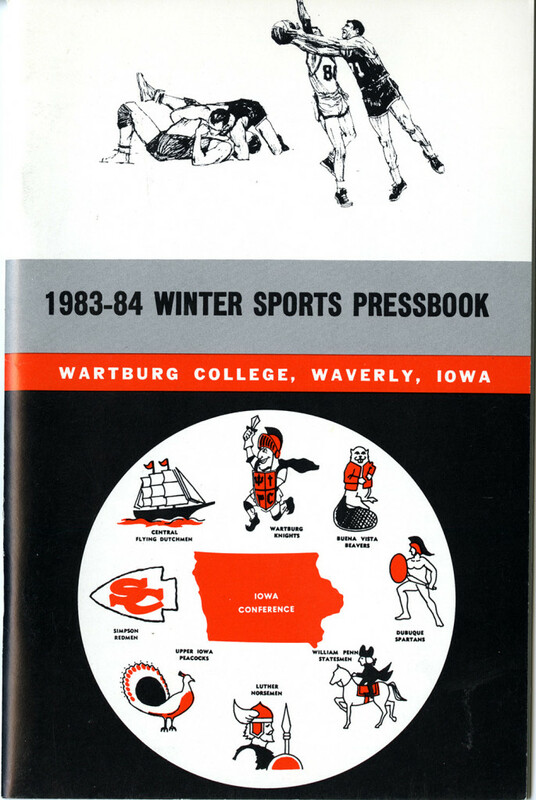 Before Wartburg College settled permanently in Waverly in 1935, the school’s nickname wasn’t the Knights. 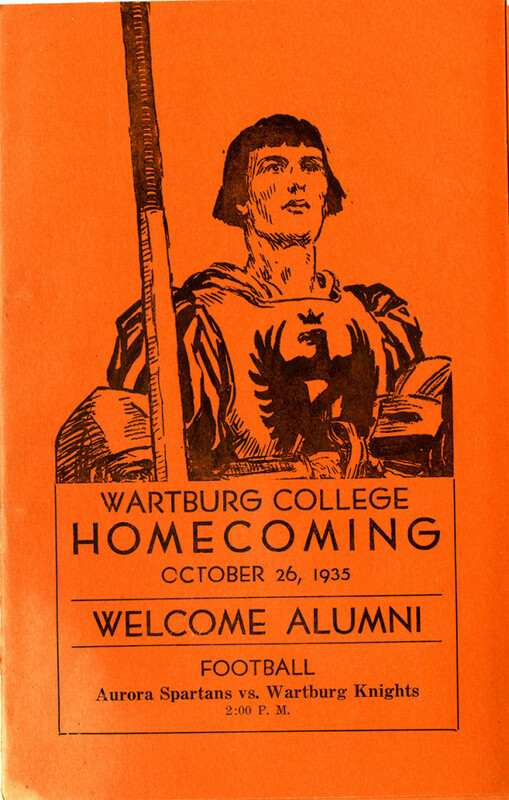 Throughout Wartburg’s history, the nicknames of Teutons, Hilltoppers, Wartburgers, Spartans, and the Purple-and-Gold had been used. The colors of orange and black were brought from the Clinton, Iowa, location. Elmer Hertel, a biology professor and Wartburg’s first paid football coach was the architect for the nickname change to the Knights. 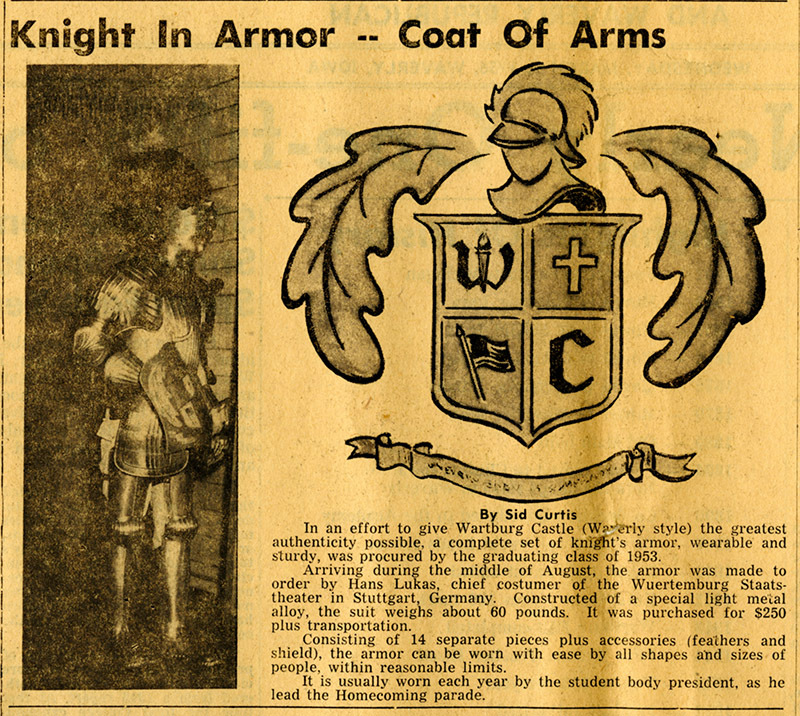 The graduating class of 1953 purchased the first complete set of knight’s armor made in Stuttgart, Germany. 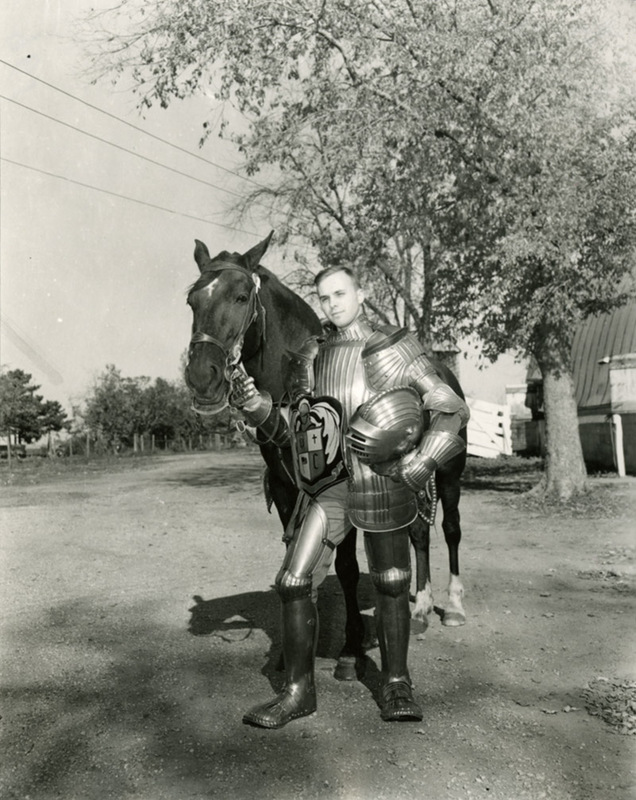 The armor was usually worn each year by the student body president in the homecoming parade. 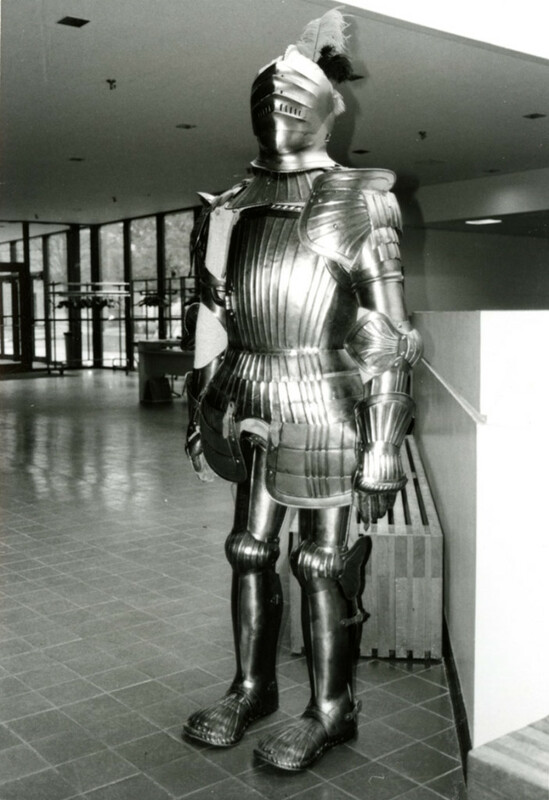 This armor is still used to lead the homecoming parade each year. 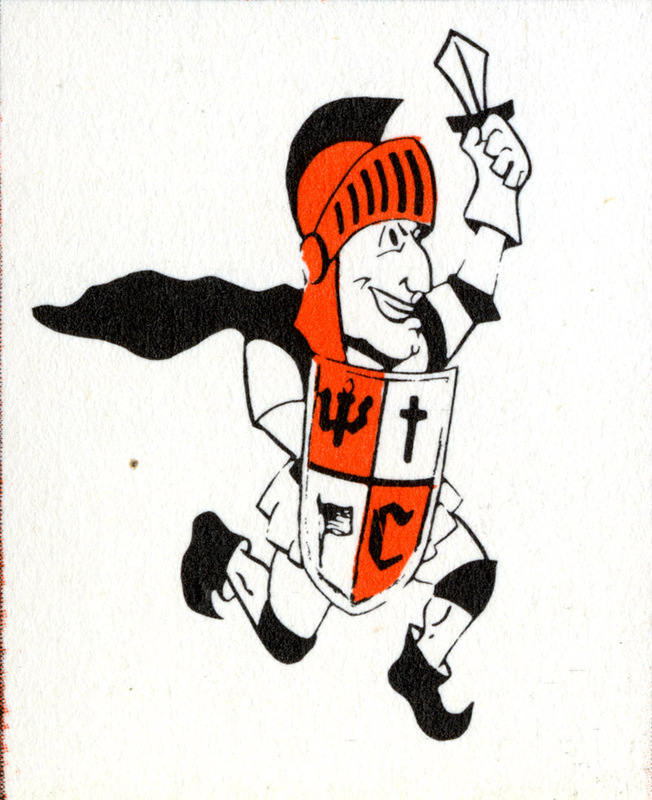 In the 1960s, Duane Schroeder ’58, long-time sports information director, named the knight mascot Sir Victor. The name Victor comes from the word “victory,” which is something Wartburg knows a lot about on the field, on stage, and in the classroom. The current mascot suit was developed in the early 2000s. 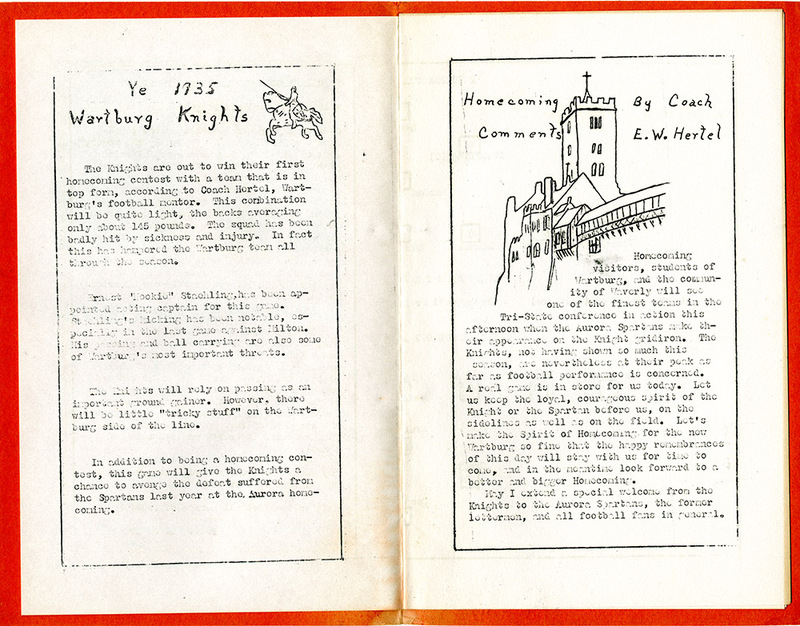 Below you will find artifacts of Wartburg’s knight history.